Yet another jailbreak tweak that has been tailored specifically for Cydia. 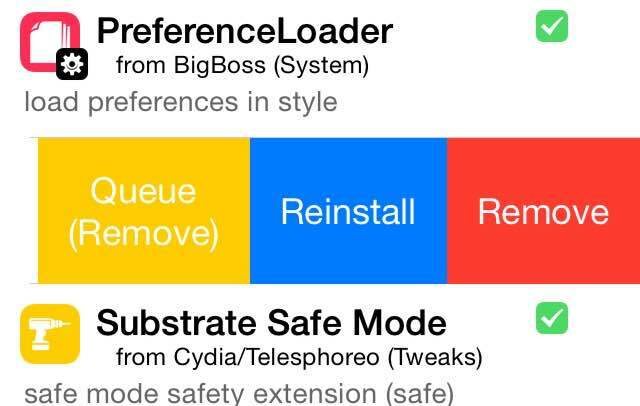 This tweak, called SwipeForMore, gives you an easier way to manage Cydia packages. 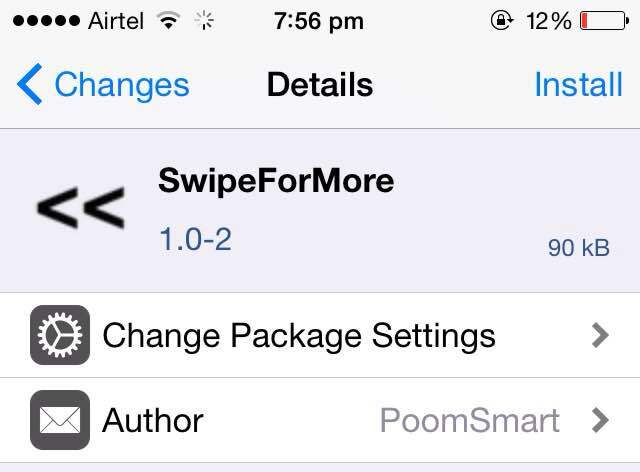 With the SwipeForMore tweak, you can simply swipe on a tweak to install/uninstall or queue/clear it. You don’t have to open the tweaks information page to install the tweak or queue it for later. Simply swipe on the tweak from the Changes page and install the tweak. Of course, if you want more details on the tweak, then you will need to go in to the tweak information view. However, with certain tweaks that you’re already familiar with, you can save time by simply swiping and installing. The tweak comes with its own set of options that let you enable/disable it or skip the confirmation dialogue box. SwipeForMore doesn’t work with paid packages yet. SwipeForMore is currently available for free in the BigBoss repo. Try it out and let us know if you find it useful.